Most shooting enthusiasts, after years of practicing and fine tuning, know exactly what works for them. Some even decide that when the firearms market doesn’t offer what they want pre-made, they might as well just embark on a build. Building your very own gun can be a very enjoyable experience but potentially stressful as well. Finding all of the correct parts can definitely be a nightmare. If you find yourself in that situation, there’s an alternative route you could consider. Obtaining a federal firearms license (FFL) can open new doors of access. FFL licensees can set up accounts with wholesalers who carry huge ranges of products. 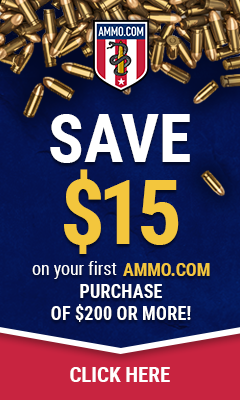 Not only will your gun parts be easier to get a hold of, but they will be less expensive as well. The margins on gun accessories isn’t astronomical, but you can estimate a savings of fifteen to thirty percent. Unfortunately, these good prices won’t come without some cost to you. The Bureau of Alcohol, Tobacco, Firearms, and Explosives (ATF) will not approve a federal firearms license application for simply personal use. You can easily overcome that obstacle by offering to get guns for friends and family, or to transfer guns that others have purchased online. (Guns bought online must be sent to a FFL holder in the purchaser’s state. That FFL holder will do the background check before releasing the firearm to the purchaser.) The benefit of offering to do the transfer process is that you can charge a small fee for your services. Added income is always a bonus as it will help fund your custom build. Speaking of fees, now would also be a good time to point out the application fee for the federal firearms license. It costs $150 to apply, but that $150 covers you for a full three years. To keep your license, you’ll need to renew it every three years and pay $150 again. 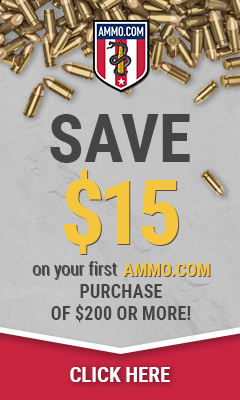 That cost can easily be recouped in the savings you’ll receive and a few gun sales as well. The Wholesale margin on firearms is usually about thirty percent, so if you purchased a $1500 AR-15 for the purpose of resale, you’d like pay around $1050 for it which means your profit would be $450. Your cost for your license is well covered with just one gun sale. The application process itself consists of filling out four different forms the application itself, a certification of compliance with US citizenship, certification of secure gun storage, and fingerprint cards. All of these forms can be retrieved from the ATF’s website, atf.gov. There are several different ways to set your license up. You can apply as an individual, partnership, LLC, or corporation. Each setup has its advantages depending on what path you might want to take with your FFL license. If you start in on the process and find yourself with more questions than you can find answers to, there are a couple of different websites available which offer guides to get you through the process. One such website is FFL123.com. This particular company offers a guide which ensures you’ll have all of your I’s dotted and T’s crossed. It also gives you contact information for several of the big wholesalers across the country, which is great for those who are looking for specific pieces and parts for their build. If you want to have the coolest gun at your range, you need to get an inside track to finding your build parts. Considering the benefits of an FFL license will definitely point you in the right direction.